Gren Weis designed, renovated bungalow in desirable Morrison. 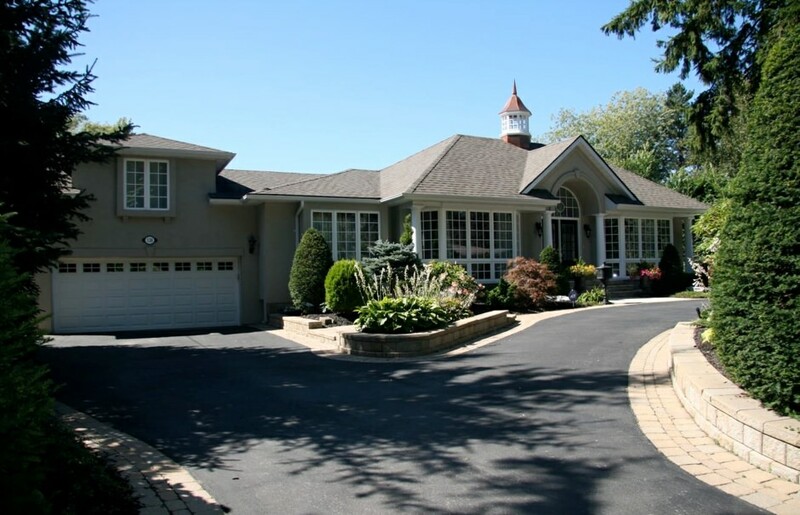 This home is situated on a private lot just far enough from Lakeshore Road, yet a short walk to charming downtown Oakville. Double doors open to an incredibly spacious foyer with vaulted ceiling, flooded with natural light from the transom above. Stone tile flooring and elegant wainscoting provide a sense of invitation to the home. The main hallway is flanked by the formal living room and separate dining room, each with double height crown molding, hardwood flooring in a satin finish, and oversized bay windows with custom drapery. The formal living room features a gas fireplace with an intricately detailed wood hearth. Continue through the foyer to the open concept eat-in kitchen. A vaulted skylight floods the kitchen with natural light, which, in addition to the white custom cabinetry with transoms, provides an airy feel. Granite counter tops, stainless steel appliances, and the massive custom range hood provide a sense of luxury. The breakfast area is framed by a bay window with charming bench seating. Pocket French doors open to the family room with custom built-in entertainment centre. The family room opens to an additional great room. It is difficult to tell which is the focal point of the room – the gas fireplace flanked by large windows with custom valences, or the impressive oversized sliding French doors, leading to the rear yard and outdoor living space. A powder room is conveniently located between the great room, kitchen, and access to the lower level. Down a private hallway are the second and third bedrooms, each with broadloom flooring and large windows overlooking the front and rear yards. 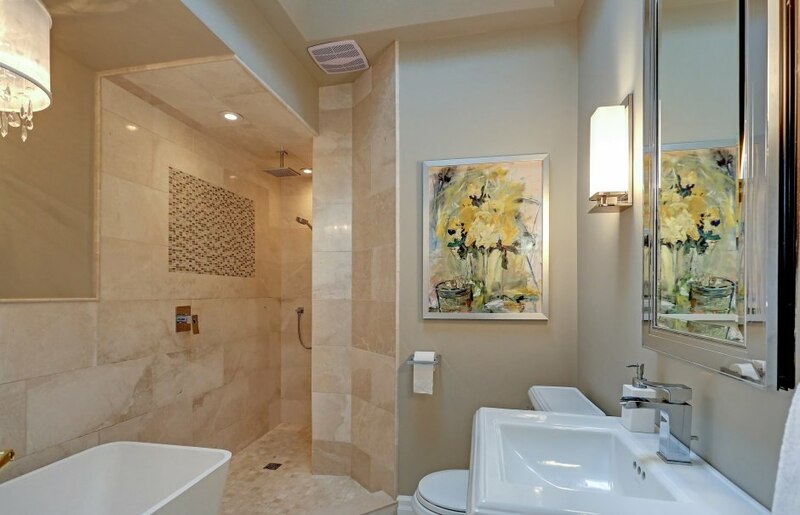 The main bath has been updated to a high end, and features a vaulted skylight, stone tile wainscoting, KOHLER pedestal sink, standalone soaker tub with wall mounted faucet, and an impressive walk in shower with glass tile accenting and rain shower head. The master retreat is quietly tucked away from the rest of the home. Double French doors open to an enchanting Juliette balcony overlooking the rear yard. A central chandelier and gas fireplace create an elegant space. A walk-in closet with custom built-in cabinetry, and additional closet with custom cabinetry provide for ample storage. 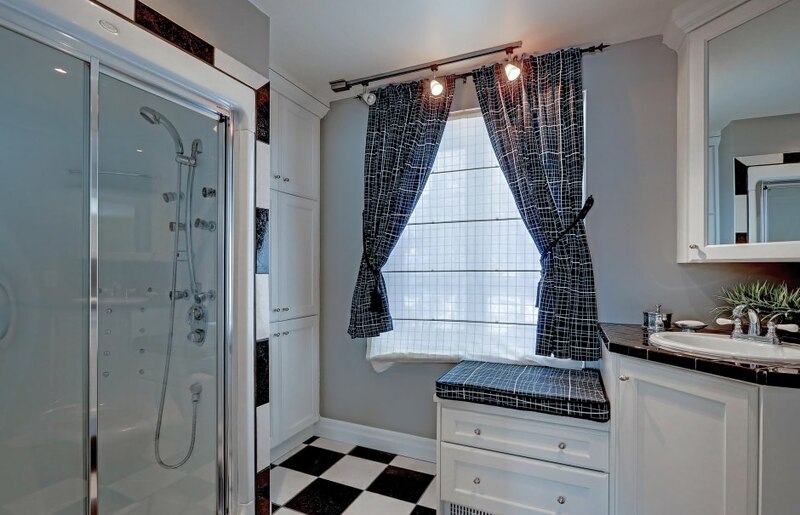 A three piece ensuite completes the space. The lower level boasts an expansive recreation room, with gas fireplace, built-in workspace and two above grade windows with California shutters. A fourth bedroom, three piece bathroom, den and laundry room comprises the remainder of the lower level. The rear yard is ideal for entertaining, with impressive hardscaping including an outdoor living space with built-in barbeque and gas fireplace. A heated inground salt water pool is surrounded by a safety fence and accompanied by a custom pool house. Mature, professional landscaping ensures ample privacy. From exterior/landscape lighting to an irrigation system, no detail has been overlooked. This home is the total package!